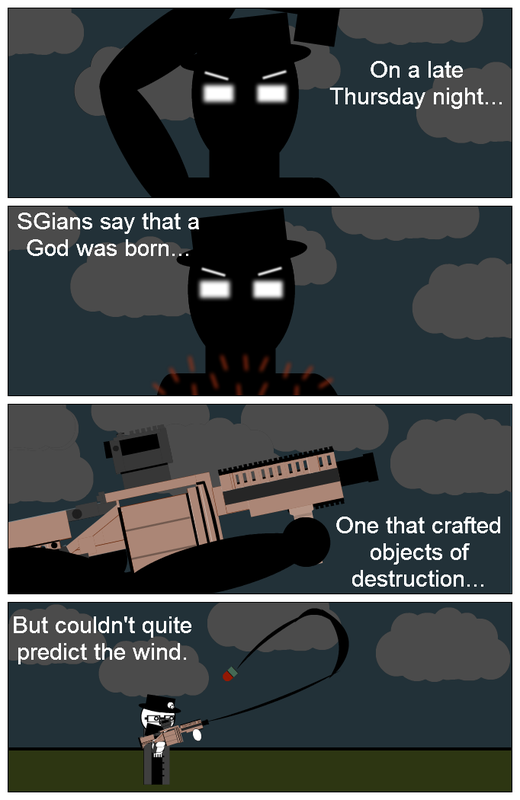 Also, for those unaware and didn't see my last comic, I am now a god. Sorry this was late, but I was busy most of today... orientation for the job. But couldn't quite predict the wind. OH AWESOME!!! THIS IS EPIC AND FUNNY! faved! Gratz you're now a god, hopefully I'll get there some day. So you have problems with wind? Grats on the new title! Sick gun man. And funny strip too!